RTL Stiftung Wir helfen Kindern e.V. I started my coaching education in March 2011 on a course of the German Football Association (GFA) with the B and A-License. Whilst I had a comeback as a player at Arsenal, I was doing my licenses in Munich. The first three days of the week I participated in the course, then I went back to London to train with the team. The B and A-License was a very valuable experience. It was presided over by Bernd Stöber, a very experienced coach and instructor of the German Federation. The curriculum comprised the basics of organization, training-sessions, methodology and practice on the pitch. We conducted it with local youth teams from Bayern Munich, 1860 Munich and Unterhaching, the third team in town. Psychological and medical aspects of the game were also part of this course, which was made especially for Ex-Professionals. Participants were Bernd Schneider, Stefan Effenberg, Thomas Strunz, Oliver Bierhoff, Oliver Kahn, Lars Ricken, Gerhard Poschner, Uwe Gospodarek and myself. After gaining the licenses, I decided to proceed with my Pro-License in Wales. I made the decision to continue my coaching education in order to get a Pro-License with the Welsh Football Association. The course offers a more practical approach than the German one. The German course requires a high amount of time that denies the student the opportunity to coach a club in the meantime. The Welsh approach requires a managerial role at a club while he is taking the course. Thereby the student has to implement and conduct strategies and tasks, that are given by the curriculum. The academy coaches cover all different areas of experience and knowledge. Two more former professionals, Marc Desailly and Didi Hamann went through the course too. Personally, I prefer this more practical approach a lot. The final exams in May 2013 were a great pleasure. I was actively involved in coaching at the Arsenal Academy. They let me do my sessions for the Reserves and Under-18 youth team. The head coaches, Terry Burton and Steve Gatting, were very helpful. Sometimes I even found time to watch Arsène Wenger’s sessions on the pitch next to us to learn from his methods. Since I played for Arsenal, I have a special relationship with this club, which is definitely one of the most fascinating ones and amongst the ones with the most tradition in Europe. 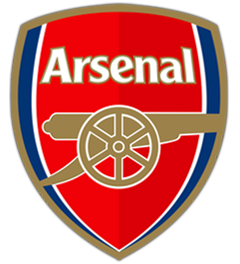 As part of my coaching studies, I had the great honor of working as an assistant coach of Arsenal’s B-team. The experience I gained during this one year assignment is very important not only with regards to passing my coaching exam, but also for future possible engagements. Jens Lehmann with Bould and Peyton during Arsenal Reserves Coaching on April 4, 2012. Since I started my coaching education, I can explain to the viewers what’s happening on the pitch not only from the perspective of a player but also through the eyes of a coach. I’m a columnist for SPORT BILD. In 2013, the Cologne-based broadcaster secured the TV rights to the European qualifiers for Euro 2016 in France, as well as to the ten qualifying games for the 2018 World Cup in Russia. I’m joining commentator Marco Hagemann and presenter Florian Koenig as an expert. I wrote exclusive columns for goal.com during the UEFA Euro 2012. 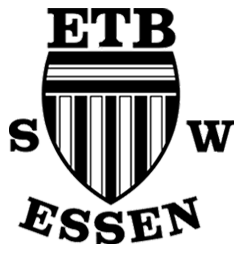 Essener Turnerbund Schwarz-Weiss Essen 1881 e.V. …I went there in 1979, but convinced the people there to put me in the goal although they originally had wanted me as a striker. In 1985 we were the first and only club ever in Essen to qualify for the German Championship and by total surprise became runners-up in the age group of the under 16 players. UEFA cup victory, 1997, FC Schalke 04. …After four and a half months recuperation, I returned to full fitness and regained my number one spot two months later. In 1996 we managed to qualify for the UEFA-Cup for the first time in 20 years. At the end of the first round we got a new coach: Huub Stevens. As complete underdogs we made it to the final without conceding a goal at home. At that time, the final was played over to legs. We won the first leg at home 1-0 against Inter Milan. The Italians equalized in the 85th Minute at the San Siro in Milan. Finally it came down to a Penalty Shoot–out. We beat them 4-2! 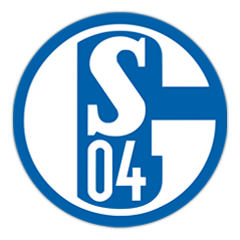 The UFEA cup victory in 1997 was Schalke’s greatest international success ever. The team is still adored as the ‘Eurofighters’ by Schalke supporters. …Alberto Zaccheroni, the A.C. Milan coach, picked Sebastiano Rossi as number one, which I found hard to accept. In the meantime, I received offers from clubs like Liverpool and Borussia Dortmund. 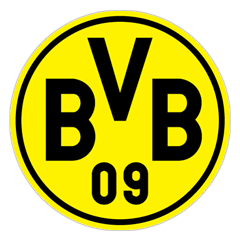 I decided to return to Germany to play for Dortmund. I could have made a better decision in terms of football politics, as Dortmund are the bitter rivals of Schalke 04. Naturally, a lot people didn’t understand my decision. Looking back, I probably should have stayed longer at A.C. Milan, to fight for the number one position and to gain more experience in the Seria A. At the end of the season, at least I was awarded a medal for winning the Italian Championship. A.C. Milan was indeed a classy club with a great organisation. …So, with no international games, we saved all our energy for the Bundesliga, and finished first on the last day of the season 2001/02, becoming the German Bundesliga champions. After four exciting years in Dortmund, I was lucky enough to receive an offer from Arsenal in London. Literally, from one day to the next, my wife and I decided to leave the country and together with our two children to move to London. A new challenge waited for us in England. Played in every match of the unbeaten league campaign 03/04 and was awarded the Premier League Golden Glove Award for my integral part in the ‘Invincibles’ season. After 49 games this unbeaten run ended due to a cheated penalty at Manchester United. …One of my saddest moments happened in the 17th minute of the game. I tried to sweep a through ball away from Eto’o. He reacted a hundredth of a second faster than me and played the ball past me. I only tipped his foot, but still he went down. The immediate blow of referee Terje Hauge’s whistle led me to expect the worst: and indeed, he sent me off with a red card. Instead of waiting a split second longer to see Giuly scoring for Barcelona, he stopped the game and awarded them a free kick. Even though we took the lead with a Sol Campbell header and Thierry Henry got a great chance for a second goal. I saw him miss it from the stands. Barcelona then got the equalizer before the end and secured the win in extra-time. Two years later my contract at Arsenal expired and I had a farewell send-off in the Emirates Stadium from a fantastic Arsenal crowd against Everton. I thought it was all over for me in London. …We had to win at Bayern Munich while Wolfsburg had to lose their last match at home. Bayern Munich didn’t do us the favor and won the title themselves. 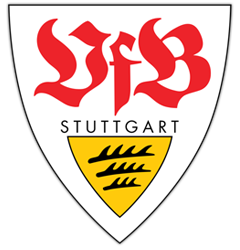 What was meant to be only one year in Stuttgart turned out to become two with the challenge to play Champions League again at the age of forty. My last Champions League game ever took place at the Nou Camp in Barcelona. I had never played there before. After a draw at home we went there as underdogs. Unfortunately Messi had one of his good days and scored a goal against me. We finally lost 4-0. In May I finally had a fantastic farewell game. The Stuttgart supporters gave me credit for my commitment and being a pretty entertaining player. My retirement began. 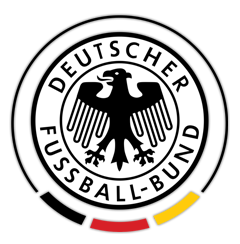 …My last tournament with the German National Team was the European-Championships in Switzerland and Austria. It was Jogi Löw’s first one in charge after he took over from Jürgen Klinsmann. Our team had a better stability and balance now after that long build-up since 2004. Even after a disappointing game against Croatia we made it to the final when we beat Portugal and Turkey in the knock-out-stage. It was my last match for the National Team against Spain and of course I wanted to make it a success. The game started well and we could feel that the Spanish were a bit scared. But they needed only one chance to take the lead. Normally you should have expected us coming back and fighting until the end but it did not really happen. That was untypical for Germans and a big disappointment. We lost 0-1. That was the end for me. …Szcesny, the Arsenal goalkeeper, injured his hand in this encounter and Arsenal was left with only one goalkeeper ready to play, Manuel Almunia. Given that I had been to Arsenal’s Training Centre in December, where I had asked Gerry Peyton, the goalkeeping coach, to give me a session, he remembered me still being in good shape. So I got a call from him, when I returned from Barcelona the next day, asking me to come back for three months to help out. I discussed it with my family and four days later I found myself in London on the Arsenal training ground again. The question was how long it would take to get fit enough to play matches. After three weeks, Manuel Almunia injured himself in the warm-up before the game in Blackpool. I had ten minutes to warm up. I went into the dressing room a bit nervous. The boss asked me if I was OK and I pretended that everything was fine. To put me back into playing mode, I thought about my last game ten months ago. When I walked back on the pitch to play, it felt good and I had my confidence back. We won 2-1 and I enjoyed a great afternoon back out there where I always enjoyed myself the most. The Arsenal supporters played their bit in giving me fantastic support during the game and particularly after the final whistle. Thank you! My personal project at the Dekeyser & Friends Academy involved the education and coaching of 15 Fellows of Football. …Gerade Mädchen mit muslimischem Hintergrund wird so die Teilnahme am Sport erleichtert – ihre Eltern müssen sich keine Sorgen um männliche Trainer machen und unterstützen die sportliche Aktivität ihrer Töchter. Langfristig soll über das Projekt der Eintritt in den benachbarten Sportverein erreicht und die Integration in die Schulgemeinschaft und die Gesellschaft unterstützt werden. Anfang Juni sind die Kicking Girls auch in der Region Braunschweig-Wolfsburg angekommen. Bei einem Besuch in der Braunschweiger Grundschule Lehndorf habe ich mit rund 40 Mädchen in der Turnhalle gekickt. Alle Mädchen haben noch nie zuvor Fußball gespielt und waren von der Sportart sofort begeistert. Ich hoffe, dass die meisten von ihnen nach den Sommerferien in der dann beginnenden Fußball-AG wieder mit von der Partie sind und zu echten Kicking Girls werden. Als ehemaliger Fußball-Profi und Laureus Botschafter liegt mir das Projekt natürlich sehr am Herzen. Ich freue mich, dass ich meine Leidenschaft für den Fußballsport an die Mädchen weitergeben kann, denn Sport verbindet Menschen. Auf dem Platz spielt es keine Rolle, ob das eine Mädchen ein Kopftuch trägt und das andere nicht, ob sie an verschiedene Religionen glauben oder aus unterschiedlichen Ländern kommen. Über den Sport lernen sie Zusammenhalt, Fairplay und Respekt. Werte, die ihnen auch im Alltag helfen werden. Während des 24 stündigen RTL-Spendenmarathons, der großen Benefiz-Auktion am 20. und 21. November 2014 live im Fernsehen, haben Sie die einmalige Gelegenheit, ein Torwarttraining mit Jens Lehmann für einen guten Zweck zu ersteigern. Die RTL Stiftung “Wir helfen Kindern e.V.” unterstützt in jedem Jahr durch ausgewählte Hilfsprojekte bedürftige Kinder in Deutschland und der ganzen Welt. During my time as a professional footballer, I studied economics at two different universities. From 1990-1992 I was registered at the University of Hagen. This University offers distance teaching to students, who are already working. This was particularly hard as I had to do my lessons at home and could not attend classes and courses. I had intensified my involvement when I was seriously injured with a rupture of my anterior Crusade Ligament, meniscus and lateral ligament of my right knee. This showed me that a promising career as a footballer could be over all of a sudden. After I had recovered from that injury in 1992, I moved from my hometown Essen to Münster. 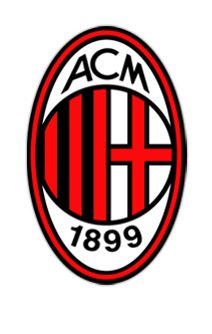 I registered at the local university for economics and stayed there until 1998, when I changed from FC Schalke 04 to A.C. Milan. In my speeches I’m sharing strategies how to set goals, motivate yourself and others, be prepared for challenging situations – and how to master them. These speeches are enriched by stories and anecdotes from my times as an active goalkeeper. Talking to people at various companies, I have realized that they are often facing similar situation as I did when I was a professional football player. For example, they need to be perfectly prepared for an important meeting on a specific day. Or to achieve certain goals, cross-functional teams need to play together seamlessly. Not to talk about the pressure and fear of making mistakes. I have lived through hundreds of situations like that in my football career. Every match needs to be perfectly prepared. Unexpected situations have to be mastered. Without good teamwork, setbacks are natural. In my speeches I’m sharing strategies on how to set goals, motivate yourself and others, handle pressure, and how to master challenging situations. During my time as a professional footballer I was surprised by how many people were interested in me. Occasionally, I’m still in touch with some of these people in business and other parts of society. These contacts sometimes can be valuable when someone wants to get something done. This area of my life mainly includes setting up or facilitating meetings. We kindly ask your understanding that autographs cannot be requested. The content of this website has been compiled with meticulous care and to the best of our knowledge. However, we can’t assume any liability for up-to-dateness, completeness or accuracy of any of the pages. Pursuant to section 7, para. 1 of the TMG (Telemediengesetz – Tele Media Act by German law), we as service providers are liable for our own content on these pages in accordance with general laws. However, pursuant to sections 8 to 10 of the TMG, we as service providers aren’t under obligation to monitor external information provided or stored on our website. Once we’ve become aware of a specific infringement of the law, we’ll immediately remove content in question. Any liability concerning this matter can only be assumed from the time at which infringement becomes known to us.